I'm heartened to see that popular media has sharpened its focus when it comes to what's wrong with the typical American diet. I'm seeing more articles now that identify sugar, not saturated fat, as the major dietary contributor to elevated heart disease risk and to increased disease risk in general. With our nutrition priorities now straight, it's time to optimize. Along with sharply reducing sugar consumption, one of many other things you can do to improve your daily diet is indulge -- or cultivate -- a taste for bitter flavors. If you find the idea off-putting, you are certainly not alone. America is still probably the most sugar-philic and bitter-phobic culture the world has ever known. The ancient European tradition of "digestive" bitters never caught on here, nor do we embrace the Chinese ideal of including a bitter food as part of every meal. Of the three truly bitter foods Americans eat regularly -- coffee, chocolate and beer -- the first two are typically vigorously sweetened. But there is an appealing logic to consuming bitters for health. Just as sweets cause blood sugar, insulin, and hunger to spike and then dip -- often leading, long term, to obesity and Type 2 diabetes -- research indicates bitter foods can have the opposite effect, moderating both hunger and blood sugar. The physiological reasons for this are complex, but if you want a deeper understanding of the benefits of bitters, I highly recommend a new book by herbalist Guido Masé called The Wild Medicine Solution: Healing with Aromatic, Bitter and Tonic Plants. Masé begins by warning that some care is required. We have evolved to find bitter flavor off-putting because bitterness is sometimes a marker for toxicity. (Sweet foods, on the other hand, are virtually never toxic -- one reason we prefer them.) But not all bitter foods are toxic; in fact, many nutrient-dense, healthful foods have a measure of bitterness, such as Brussels sprouts and leafy green vegetables. The fact that bitterness sometimes signals toxicity may be why bitter flavors reduce appetite. If the plant that one of our hunter-gatherer ancestors munched was bitter and toxic, it would be pro-survival if that bitter-taste "signal" tamped down hunger so he or she would eat less of it. Today, we can consciously exploit that tendency by eating bitters before meals to help control appetite. Bitter foods also stimulate the liver to produce bile, which is an important part of optimal digestion. Bile emulsifies fats and renders nutrients -- especially fat-soluble ones such as vitamins A, D, E and K -- more available. Another way to express this: Bitter foods challenge the liver. They make it work and help it to remain healthy, just as muscles challenged by exercise function better than ones that atrophy from underuse. A liver frequently challenged by bitters can efficiently process the occasional sweet treat, but inverting that bitter-sweet intake ratio -- as far too many Americans do -- leads to fatty liver disease, obesity and Type 2 diabetes. Bitter tonics: Aside from the well-known Angostura bitters, a proprietary product bottled in Trinidad and Tobago, many small, artisan bitters are now available via the Internet. They often feature the bitter, nontoxic root of the great yellow gentian, Gentiana lutea, in an alcohol base. While typically added to cocktails, bitter tonics can be added to nonalcoholic drinks as well, or even taken via mouth spray. Bitter melon, Momordica charantia: Widely available at Asian-themed supermarkets and also easy to grow from seeds, this traditional Okinawa favorite may help explain why Okinawans have the world's longest lifespans. Start with the milder Chinese variety, then "graduate" to the more intensely bitter Indian version. 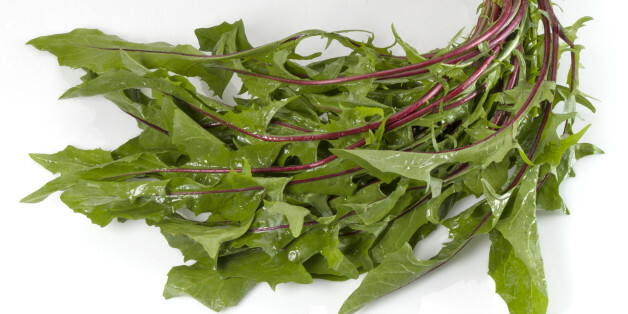 Dandelion greens, genus Taraxacum, multiple species: There are few healthier habits than regularly eating dandelion greens, which combine the benefits of strong but appealing bitter flavor with extraordinary nutrient density, similar to that of kale. The greens are available in natural foods stores, or pick them from your yard (after making sure no pesticides or herbicides have been sprayed on them -- and no dogs have visited the area). Health considerations aside, gaining an appreciation for bitters can open a new world of pleasurable tastes. A meal of only sweets is like nursery rhyme -- the artful addition of "counterpoint" bitters can elevate it to a symphony. At some level in this sweet-saturated culture, I think, many of us crave bitterness -- perhaps this is why the three bitter foods listed above, beer, coffee and chocolate, are often consumed to excess? So let's all expand our bitter-flavor repertoires. In the comments, please share your favorite bitter foods! Pollan, Michael, "In Defense of Food: An Eater's Manifesto," p. 156, Penguin, 2008. Masé, Guido, "The Wild Medicine Solution: Healing with Aromatic, Bitter and Tonic Plants," Healing Arts Press, 2013. Andrew Weil, M.D., invites you to join the conversation: become a fan on Facebook, follow him on Twitter, and check out his Daily Health Tips Blog. Dr. Weil is the founder and director of the Arizona Center for Integrative Medicine and the editorial director of www.DrWeil.com.